Size: 150 x 95 mm. Ring distance : 19 - 19 - 38 - 19 - 19 mm. 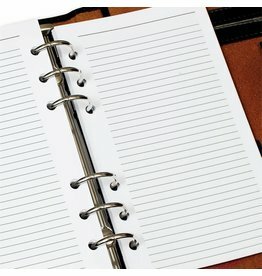 These Senior notepapers can be used for Kalpa's or Success Senior Organizers. You will receive 5 sets each with about 60 leaves (120 pages). In total, you receive 300 sheets (600 pages).